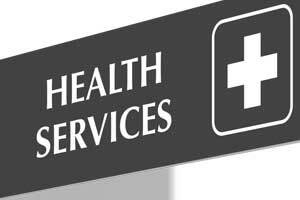 Srinagar: Asserting that health system of Jammu and Kashmir is entirely tertiary care-based with minimalistic primary care approach because of which the rural poor suffer, the Doctors Association Kashmir (DAK) on Friday said there is a dire need for a comprehensive health care delivery policy that would better serve the health needs of people. DAK president Nisar ul Hassan said this, after felicitating the newly-inducted office bearers at a function in the Government Medical College (GMC), Srinagar. Welcoming the new office bearers, Dr Hassan expressed confidence that the new team will live up to the expectations of people and end sufferings of patients. Speaking on the occasion, he said ”People have huge expectations from doctors and we should try to do our best to fulfill their expectations. ”The biggest challenge for DAK is to bring health care delivery services to underserved and unserved, which can be accomplished by a strong primary health care system, Dr Hassan added. He further said the health system of the state is entirely tertiary care-based with minimalistic primary care approach, because of which rural poor suffer. He said there is a dire need for a comprehensive health care delivery policy that would better serve the health needs of people. ”We need to work together to reinvent the age-old bond between doctors and patients which is so essential for patient satisfaction and adherence to treatment,” he added. Dr Suhail Shah, who was appointed as the General Secretary of the Association, said that he will do everything to restore the dignity and sacrosanctity of medical profession. Dr Mohsin Shah (RDA President GMC), Dr Farooq Ganai (Executive member SKIMS faculty Forum), Dr Sajad wani and Dr Murtaza Saleem were inducted as Vice-Presidents of the association. Dr Imtiyaz Ahmad Magray, Dr Gurmeet Singh Sodhi, Dr Krishenjeet Singh, Dr Umar Parray were nominated as secretaries. Dr Vakar Banday, Dr Nasir Shawl, Dr Rafiq Dar, Dr Saima Amin, Dr Ifshana Rasool, Dr Shaheen Quereshi and Dr Mehmooda Bhat took over as executive members for central council of DAK. Dr Mazoor Ahmad Ahangar was announced as the advisor to DAK executive and Dr Yasir Yousuf Wani is the chief coordinator for DAK.